Open field of vision: Wear glasses, read, and watch TV. No red mask: Leave no masks on the bridge of the nose. 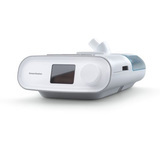 The Philips Respironics DreamWear frame supports full face, nasal and gel pillows cushions to meet patients’ needs. 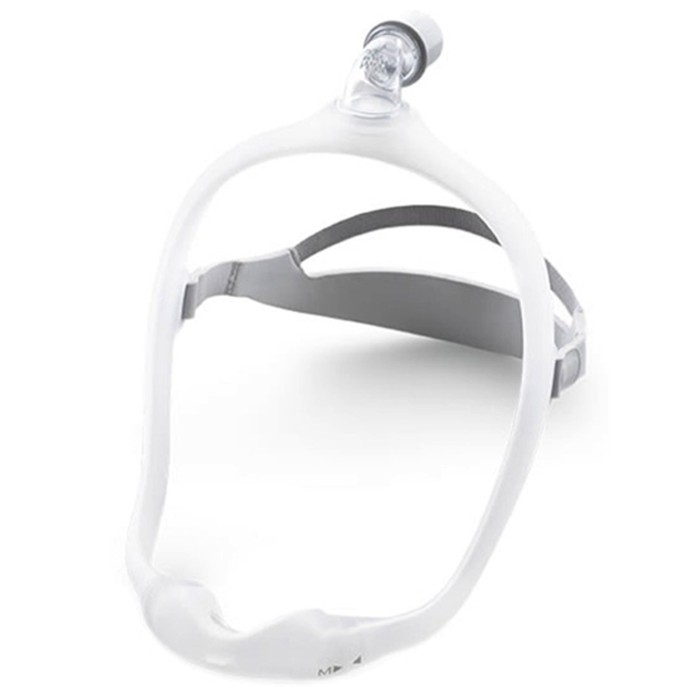 DreamWear’s remarkable design directs airflow through the frame so patients can sleep comfortably, and the tubing connection located at the top of the head allows patients to sleep in any position they desire–on their stomach, side, or back. Like wearing nothing at all. Using the nasal cushion sizing gauge (included with the mask), hold it horizontally under the nose. Select the cushion size based on where the outer edge of the nostrils and tip of the nose contact the gauge. Note: Four cushion sizes (small, medium, large, medium-wide) are available. Using the gel pillows sizing gauge, place the pillows cushion tips into the nostrils. Choose the cushion size that allows the blue gel bases to sit comfortably under the nose without any gaps. Note: Three cushion sizes (small, medium, large) are available. The cushion opening will be directly under the nostrils. The cushion will hug the nose and leak will be minimal. With the mask assembled, place the cushion under the nose. Position the frame on the top of the head. Pull the headgear over the back of the head. When finished, the elbow should rest at the top of the head. The medium mask frame will comfortably fit most faces. If the medium frame does not fit a patient’s face, a small or large mask frame might better suit your patient’s needs.